The controller will accept a request from the client and prepare response using service layer. After preparing a response by service layer passes those data to the view layer. View Layer may JSP, XML, JSON. 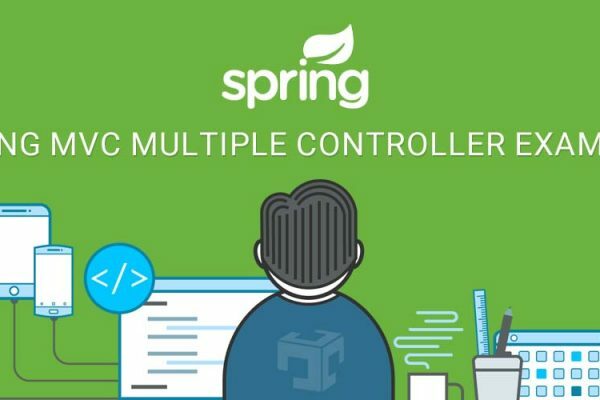 To Define Controller @Controller annotation is used. Service layer can be defined using @Service annotation at the class level. The service layer is responsible for business logic. Service layer communicates with Database layer perform the database operation. DAO layer is used to perform database operations. In this example, we are using MySQL as a database. DAO layer injects SessionFactory object using that DAO Layer performs database object. @Entity indicate that table name refer in Java like when create HSL query. @Table indicate that name of table which are available in database. @ID indicate its primary key will be created in database. @Column: column will be create in that table with same name. here we can also pass name attribute like @Column(name=”employee_name’) so that column name(employee_name) will be create in database and we can use our favorite camel notation in java(employeeName). @service indicate that it’s service layer code. 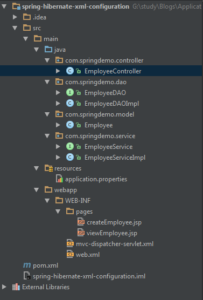 Most probably service layer accessible at Controller Layer. Service layer contains business logic. Service layer communicate with DAO layer and perform necessary database operation.